Dr. Grimmett's office is conveniently located in beautiful downtown Colorado Springs. She also completes elderly decisional capacity evaluations at private homes and assisted living facilities as needed, and completes in-custody evaluations across the state. Dr. Grimmett is a licensed psychologist in the state of Colorado. She has received extensive training and experience in the assessment of competency to proceed and decisional capacity in older adults and has completed over 800 forensic evaluations. She has provided expert testimony in numerous jurisdictions across the state of Colorado for criminal and civil cases, and offers consultation to assist with difficult cases. Additionally, she has presented to various state and local agencies on a range of psycho-legal topics including: the role of a forensic psychologist in competency and sanity cases; psychological considerations for death penalty cases; a psychological perspective of capacity; and, navigating the psychological report in guardianship and capacity evaluations. She embarked on her psychology career at the University of Greenwich in London, where she earned her Bachelor's degree in psychology. She achieved a Master's degree in psychology and health at the University of Stirling before relocating to the United States. After completing her Master's degree in counseling from Rhode Island College, she earned her Doctorate in clinical psychology from the University of the Rockies. She completed 2000 hours of post-doctoral forensic training under the supervision of a board certified forensic psychologist at the Colorado Mental Health Institute at Pueblo. Dr. Grimmett has completed extensive continuing education in all areas of forensic psychology through the American Academy of Forensic Psychology and has undergone special training in assessing decisional capacity in older adults through Rush University Medical Center. 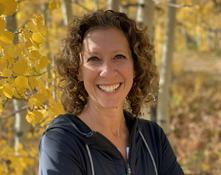 She has been practicing in the mental health field for over 20 years and has been providing services to numerous Southern Colorado families for more than a decade.